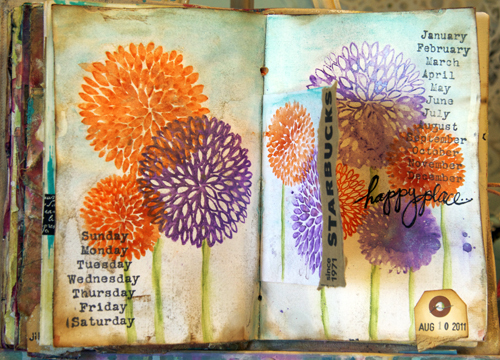 Here’s another gorgeous mixed media creation from Donna Downey. This time she uses Gelatos from Faber-Castell with stamps for a dreamy watercolor look, how pretty! Click here to watch a video of her creative process.